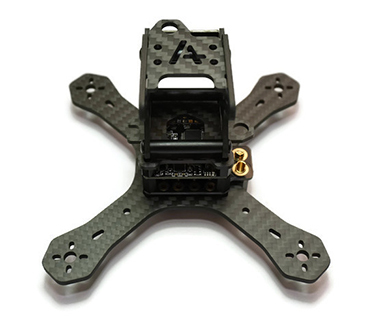 Armattan brings you the latest in simple and clever designs. The MRP130. This model was graciously designed by Florent. Thanks to Florent's clever design, this model is warrantied from bumper to bumper. All the CF parts on this model will be replaced for free, and for life. This model ships with our mini PDB V3 and allows for a hard mounted XT-60 ot T-Deans to be installed directly onto the PDB. It is designed around 3 inch props (4 inch will not fit), and we recommend the 3030 triblades by RotorX for this model running 1306 motors on 4s, 850-1000mAh. Thanks to Florent's clever design, this model is warrantied from bumper to bumper. All the CF parts on this model will be replaced for free, and for life. eachine 25mw raceband with custom circular antenna. I was looking in the market to buy an true x frame in the smallest size available that could fit a hs1117 and 1306 motors for 3 inch. Looking across the complete web this is the only frame I could find with all my requirements. Ordered it and within 7 days I received the package. When opening my first thoughts where, wow this is small. Same night I started the build and was finished in 5 hours. It took so long because there was no manual and need to find out how to place the components the best way. There were a few build reviews online with pictures that helpt a lot. Apart from that the build was very effective and all components fitted flawlessly. Another thing which comes in handy if you use different standoffs non metal to protect any current leakage. I chose the led option. 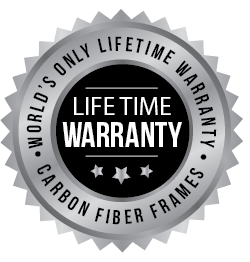 Anyone buying this frame needs to include this option. The leds are a must have on this frame. Not only for show but also in racing. The frame is so small that opponents find it hard seeing it, leds help with that :). Flight characteristics = unbelievable good on 850 4s with 3inch tri-blades. Summary. Im very happy with this frame. light, strong, enough room for components and very fun. An absolute game changer in the 130 space. Ive made some pictures for the people interested.